Sometime in elementary school I became captivated with Joni Eareckson. My parents had a little cassette tape of her songs, and I would play it over and over, singing along. When the rewind function on our tape player broke, I’d rewind the cassette tape on my finger, and then play it again. I thought she was beautiful and strong and inspiring, every bit the sort of woman I wanted to be one day. I had read a children’s book about her life, complete with color illustrations of her standing in her swimsuit, getting ready to take the fateful 1967 dive that would break her neck and render her a quadriplegic for life. But what always remained a mystery was her relationship with her husband, Ken Tada. He was never mentioned in the children’s books, and the older I got, the more I wondered about their relationship. What sort of man marries a quadriplegic? What sort of marriage can thrive under the constant burden of quadriplegia? But nothing was ever said about it. Until now. Last month Joni and Ken released their first book on marriage–not a book about marriage principles and guidlelines–a book about their marriage. Their story. I’m not an avid non-fiction reader, but I read it in two days! There were two things that made it so fascinating–the raw vulnerability, and the intense degree to which they suffered. Most couples have gone through tough times, but how many of us can say we’ve woken up multiple times every night for thirty years to shift our spouse in bed? How many of us have battled chronic pain, cancer, depression, and multiple brushes with death? Or lived with scarcely any privacy because it required a small team of people just to keep our spouse alive and functioning? How many of us have had to hire someone to “put our spouse to bed” every night because it required such extensive effort? And yet, amazingly, this is a book every married couple can relate to. Not in the quadriplegia sense, of course, but in the Tada’s honest portrayal of the excruciatingly difficult yet glorious gift of marriage. I could relate to Joni’s longing for love but fearful insecurity. Her desire to be near Ken, but not to stifle him, especially with the exhausting extent of her daily needs. (At a particularly fragile time in their relationship, she went so far as limiting her fluid intake on the weekends so she wouldn’t burden him with the chore of changing her leg bag so frequently.) I could relate to the frustration and despair that led to hopeless indifference when Ken discovered nothing could be found to cure Joni’s chronic pain. I understood his need to get away and to find his own masculine identity apart from his “famous wife.” The struggles are common to all of us–the strain, the insecurity, the poor communication, the gradual drifting from intimacy with God. I, for one, am just glad they said it! I’m glad they admitted that marriage is hard. 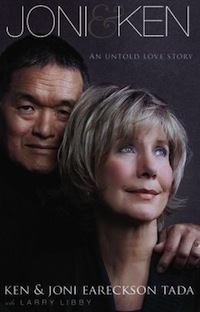 To be honest, it shocked my “Joni-Eareckson-fan-club” heart to learn that she let her marriage grow so distant. That in the midst of great ministry, she had a weak relationship with her husband. This is the kind of honesty that imparts hope! Because we, the reader, get to watch God grow and strengthen their marriage. And contrary to Hollywood chick-flicks, everything wasn’t solved in a week-end. That was one of my favorite aspects of the book. I got to see the Tada’s journey toward a stronger marriage over the course of many, many years. But best of all, this book gives us a glimpse of God-honoring, Christ-exalting suffering. This is the number one lesson I learned: when you can see Christ in the midst of your hell and faithfully cling to Him despite the worst suffering imaginable–you just may discover that the suffering becomes the greatest blessing of your life. This was the case for the Tada’s–God used their worst nightmare as His instrument for healing their marriage. On a side note, I was not crazy about the style in which the book is written. I learned in a post-script that Joni’s editor suggested the book be written from the third person point-of-view. Personally, I would’ve preferred to read the story from Joni and Ken’s own perspective. It was a little strange to have an outside narrator telling the story, almost like it was a work of fiction. There were also complaints that the book was hard to follow since it jumps back and forth between past and present events. Honestly, neither of these stylistic details is a huge deal–you get used to the point-of-view, and there are bold-faced dates throughout the novel that make the sequence easy to follow. 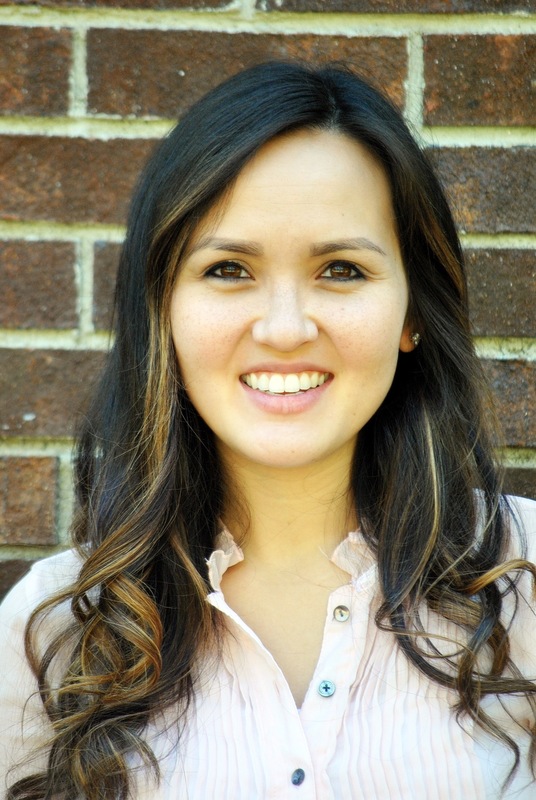 This entry was posted in Culture, News, & Reviews on May 25, 2013 by jeanneharrison. I value your opinion of the book. 🙂 I have not read it yet, but I will certainly try to arrange to do so. I heard Joni and Ken speak about the book on the radio. God has used them in a significant way. Thanks for writing this. Thanks for reading my thoughts-hope you enjoy the book! Thanks for a great book review. I didn’t know they’d written anything this recent. I, too, have been fascinated by Joni’s story, having read a couple of her biographical books years ago, and having recently heard her audiobook “A Place of Healing”. Looking forward to reading this one sometime. I just Facebook recommended it. I’ve always loved her, but had not heard about this book. Thanks!